What Does Your Knitting or Crochet Project Say About You? 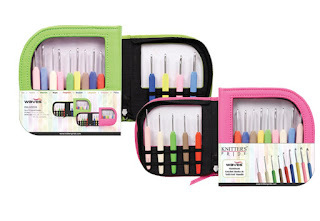 There are many types of crafters out there - what kind are you? 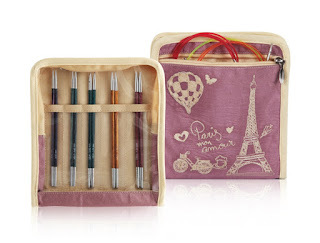 We've created a fun quiz for our fans, click START below to see what your crafting preferences say about you! Share your quiz results in the comments below for your chance to win your choice of these 2 prizes: a Royale IC Starter Set or a Waves Crochet Set- we'd love to know just how accurate our quiz is! Don't forget to also include your email address or Ravelry ID so that we can contact you if you win. We'll randomly select one lucky winner to announce on our next blog post on Friday, July 14th. Good luck! Share this quiz with your crafting friends to see their results using this link or the sharing links at the bottom of this post! If you love making crocheted motif blankets, you probably know that it is difficult to join circular motifs together without leaving gaps. In this tutorial, we're going to show you how to square off a circular crochet motif. First, count the number of stitches around your circle. 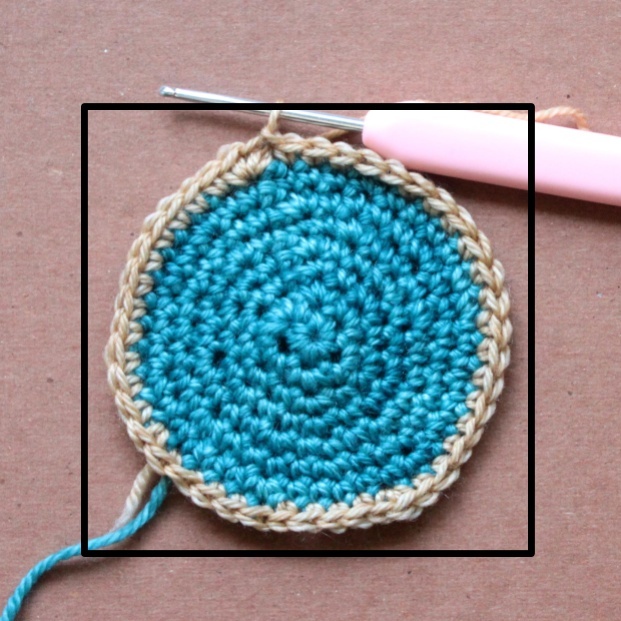 If this number isn't divisible by 4, then single crochet around the circle while evenly increasing the number of stitches necessary to reach a stitch count that is divisible by 4. 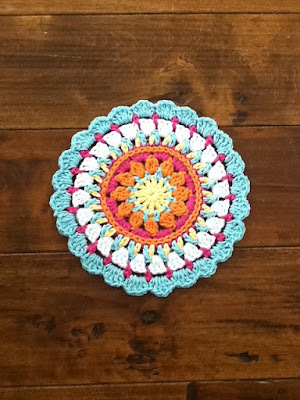 If this number is divisible by 4, then work 1 round of single crochet around around the circle. Why do we need a stitch count that is divisible by 4? We will be treating the circle as a square, dividing it into four "sides." A circle with 42 stitches will need two more stitches to reach a stitch count that is divisible by four. To do this, *work single crochet for 20 stitches, increase in the next stitch, ** then repeat from * to ** to the end of the round. You will now have 44 stitches, which is 4 sections of 11 stitches. 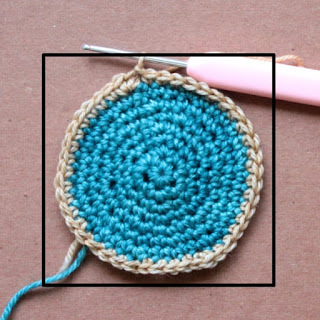 You'll be creating the edges of the square by adding taller stitches to the areas on the circle which correspond to the corners of the square shown above. As you might have guessed, the sides will need less fabric to complete the transition. To make the squaring off round easier, the beginning of the round will be in the center of the square side, as seen in the illustration above. sc2, hdc, dc, dc2 in next st, ch2, *dc2 in next st, dc, hdc, sc5, hdc, dc, dc2 in the next st, ch2, repeat from * 2 more times, dc2, in next st, dc, hdc, sc3. Slst into first st to join round. When you work this round, notice that the hdc and dc stitches create wedges which build the corners when paired with the other wedges. 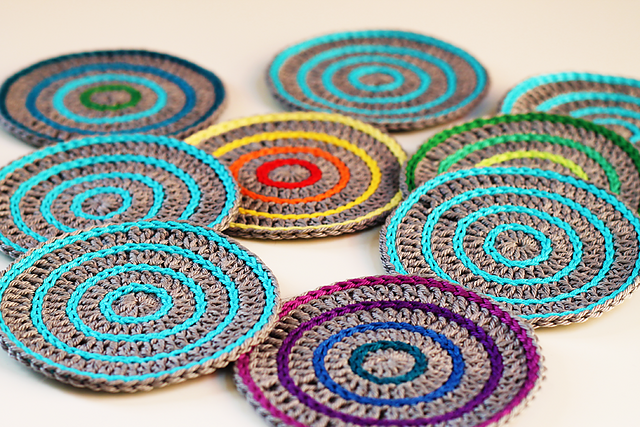 For larger or smaller circles, you will need to adjust the pattern by either adding a sc, hdc, or dc to the pattern. 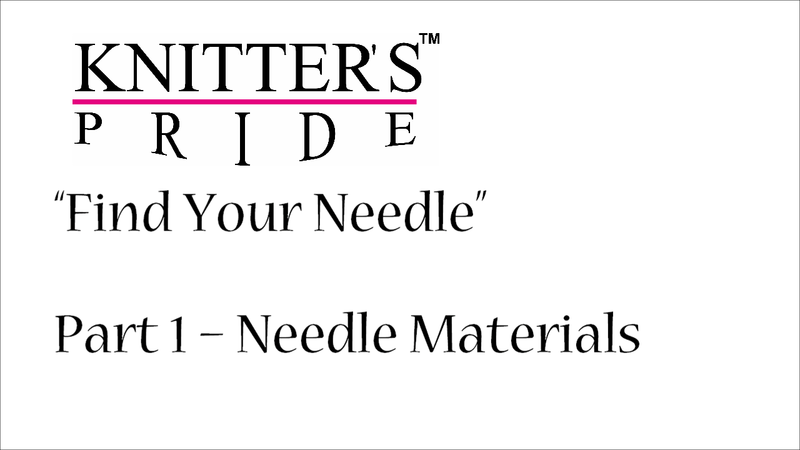 This may require a little experimentation one your part as you try out different types of stitches to get your ideal shape. Below are two free patterns to modify and turn into square motifs using this technique! We'd love to see what you make with this tutorial; share your results with us on Instagram using the hashtag #knitterspride in your post.